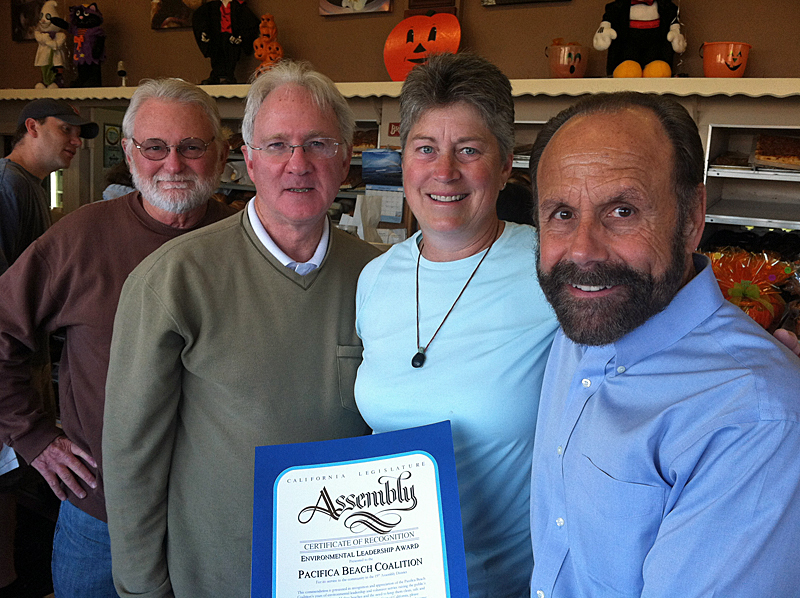 Sustainable San Mateo: awarded by the San Mateo County of the prestigious Sustainability Award. 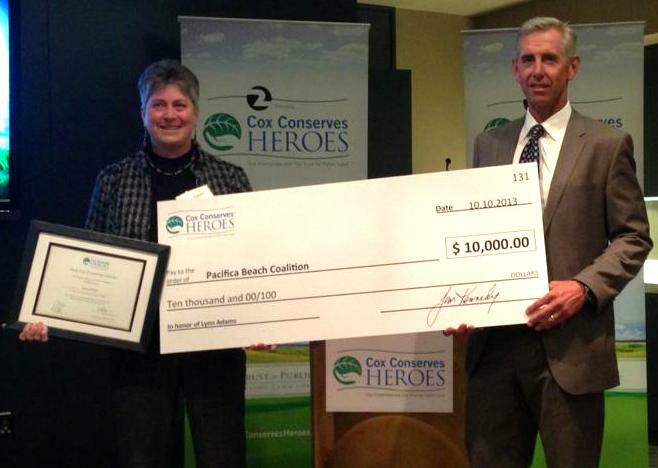 Matson: awarded $5000 to PBC for helping to pick up the lost container, styrofoam and bread crate pieces. Read more about it! Earth Day: Congressional, State Senate, and State Assembly honors. Coastal Cleanup Day: Ribbon cutting for Cigarette litter abatement campaign with Susan Hansh, CA Coastal Commission, Chief Deputy Director, Eben Schwartz, CA Coastal Commission and Marine Debris Program Manager. Won reputable CA Coastal Commission: Whale Tail Grant. 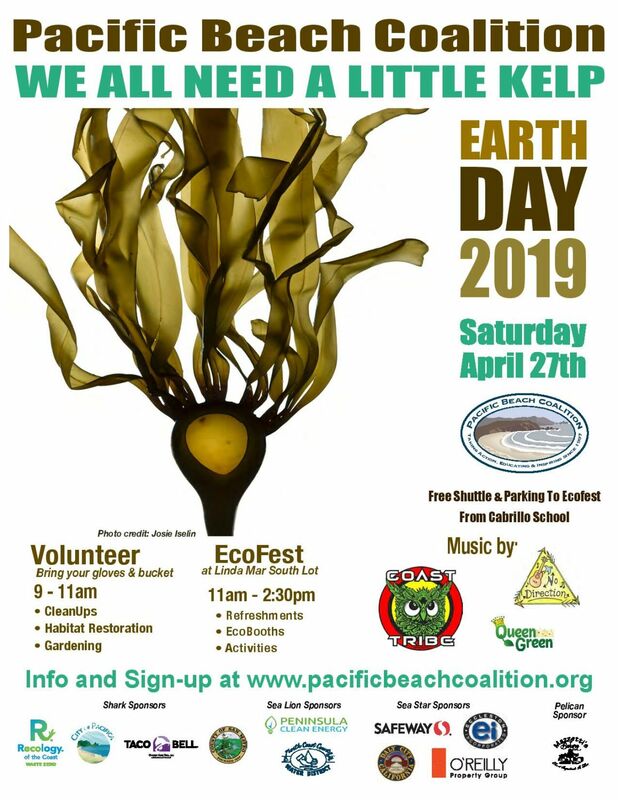 Earth Day and Coastal Cleanup Day: The Pacific Beach Coalition received certificates from Jerry Hill and the Certificate of Proclamation from Jackie Speier along with a $3,000 check from Don Horsley, our County Supervisor. 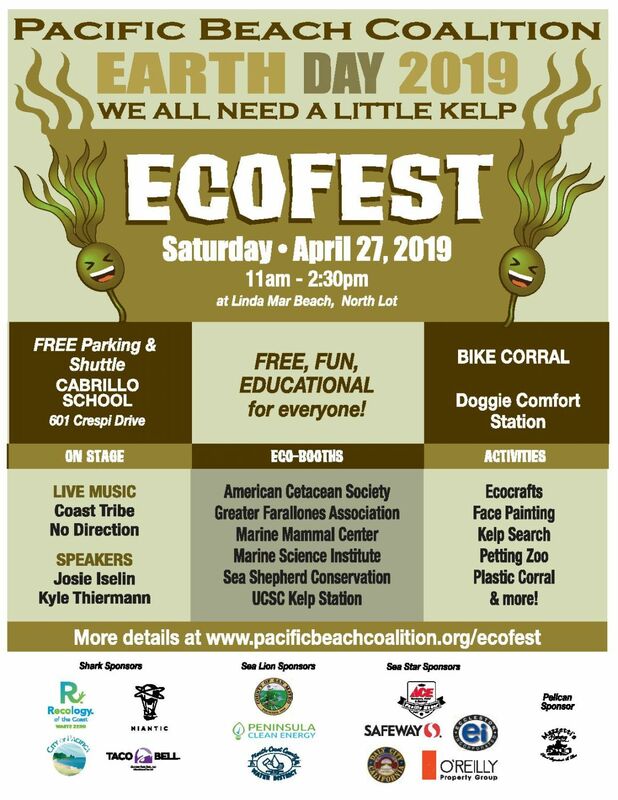 Fog Fest Parade Most Creative Group: The Pacific Beach Coalition was awarded Most Creative Group for the “March of the Bees” which buzzswam down Palmetto Avenue to celebrate the bees and show pride for a cleaner Pacific Coast! 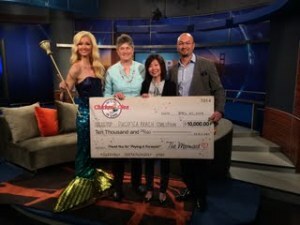 The PBC was also received a $100 check. 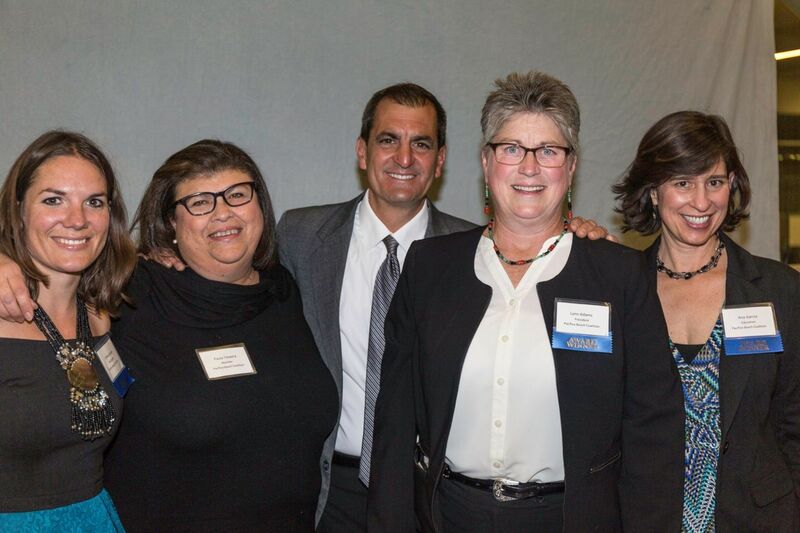 Outstanding Community Organization: The Pacific Beach Coalition received “2013 Outstanding Community Organization” from the Pacifica Chamber of Commerce during its 2014 Awards Ceremony & Installation Dinner. The San Mateo County of Supervisors and Congresswoman Jackie Speier also presented commendations to the Coalition during the ceremony. 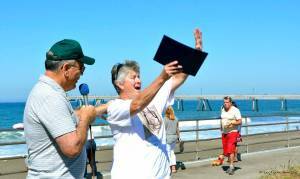 Bay Area Cox Conserves Hero Award: Pacific Beach Coalition President Lynn Adams received the award and designated the Coalition as beneficiary of the $10,000 award given to honor environmental volunteers who are creating, preserving or enhancing outdoor spaces. 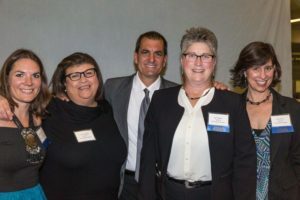 The funds supported the 10th Anniversary of Earth Day of Action in 2014. 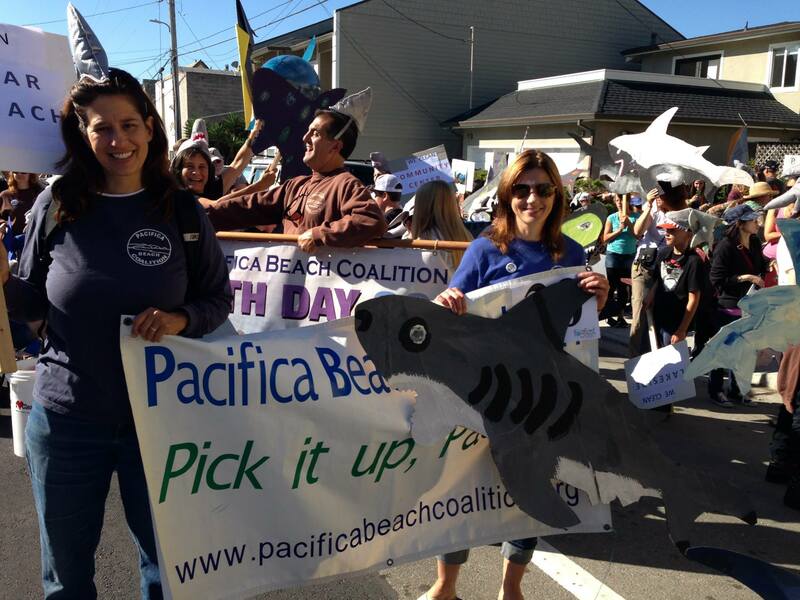 The Pacific Beach Coalition was awarded Best Walking Group for the “March of the Sharks” which swam down Palmetto Avenue to celebrate sharks and show pride for a cleaner Pacifica! The PBC was joined by Sea Stewards in a collective effort to educate about shark and marine life protection by keeping litter out of the ocean and off our beaches and streets. Read more about our news!